So here we are: 40 Finalists, 8 category winners. 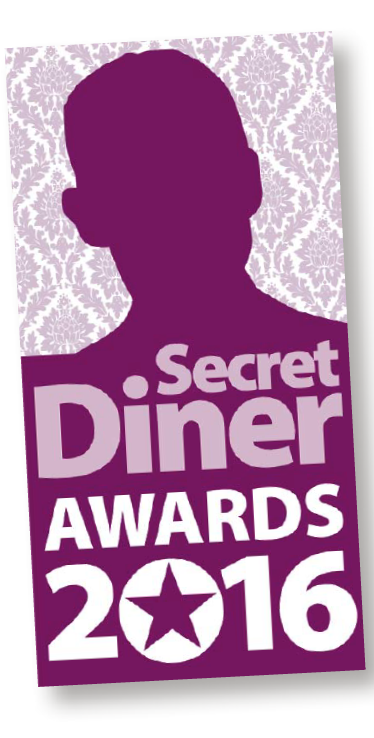 I am delighted to open the winners’ envelopes and reveal the recipients of this year’s Secret Diner Awards, including the 2016 North East Restaurant of the Year. 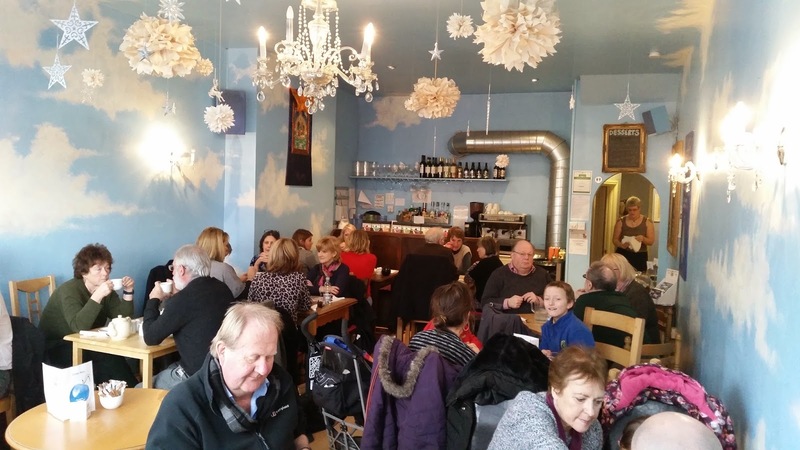 It’s been a terrific year for eating out in the North East. 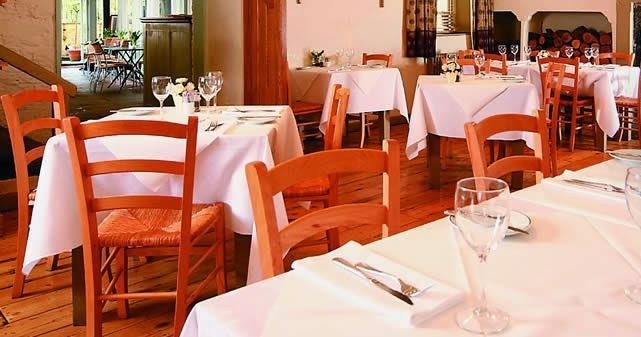 In fact, there has never been a better time to enjoy the restaurant scene here, which means that competition for these awards was even tougher than usual. 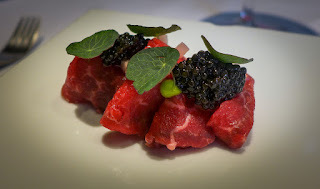 In the five years I’ve been reviewing for the Journal, I’ve seen a huge increase, not just in the standards of the restaurants, but in the knowledge and commitment of the restaurant-going public. The two go hand in hand. 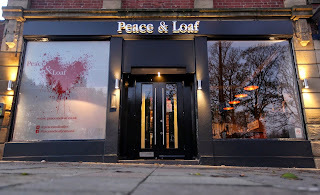 In the bad old days, many people up here seemed to accept with sad resignation a belief that the North East’s food scene would never match up to other parts of the country. 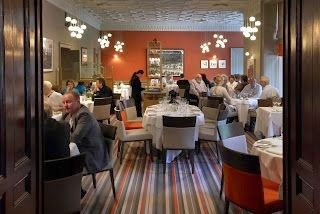 Sure, we may not have agreed with the Southern critics’ taunt that Newcastle was a culinary desert, but even to us it felt like a pretty barren landscape when we looked at the dearth of national recognition, the paucity of cooking talent, and the lack of range that our region offered its food lovers. How all that has changed. 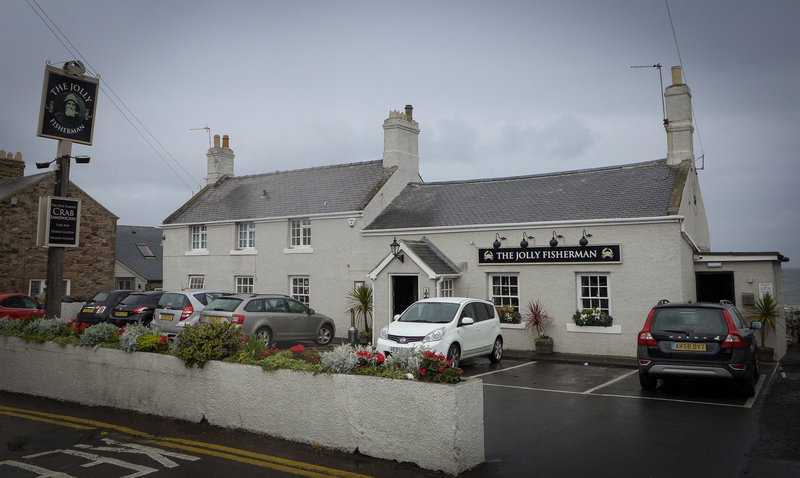 Now people demand quality, innovation, skill, presentation and style – and that’s what all these award-winners and runners-up (and scores more restaurants that narrowly failed to make it to the shortlist) are offering. It’s an exciting time to be writing about food in the North East. And even more exciting to be eating it. 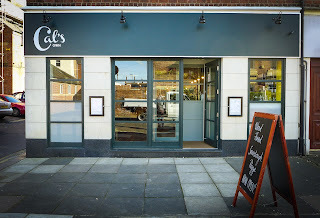 This prize is awarded to the restaurant that has made the greatest contribution to our region’s culinary reputation. As in previous years, I was looking for exceptional quality, but I also wanted to honour the place that demonstrated both commitment to the North East and a passion for excellence. 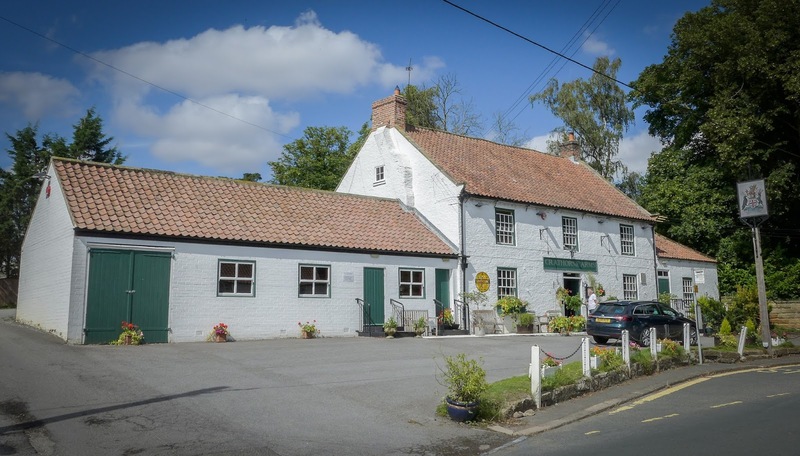 The award goes to a restaurant whose exceptional cooking and service has placed it in the Champions League of British restaurants, a humble Victorian pub near Darlington where the tiny kitchen has built itself a reputation that is resounding around the world. 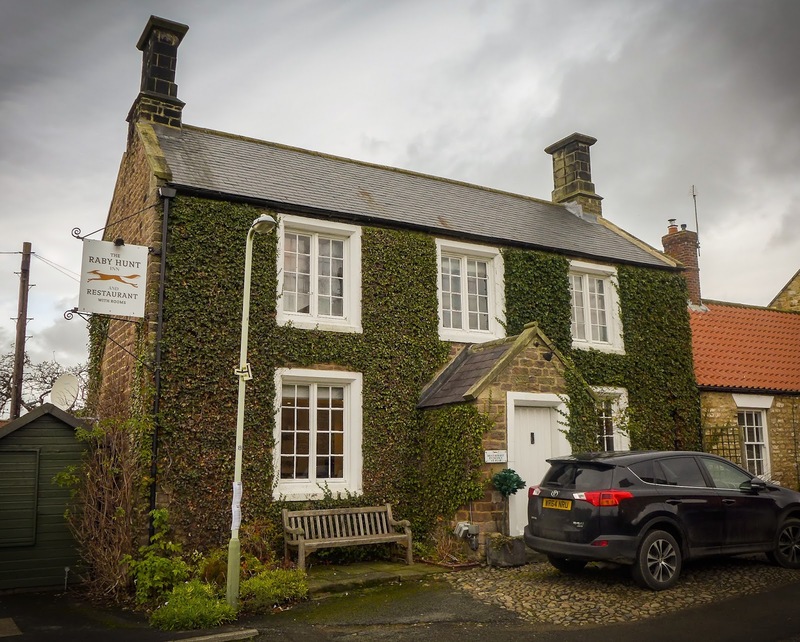 The Raby Hunt is the North East’s only two-Michelin-starred restaurant, and one of the finest in the whole country. And yet the chef, almost completely self-taught, only started cooking professionally a few years ago. 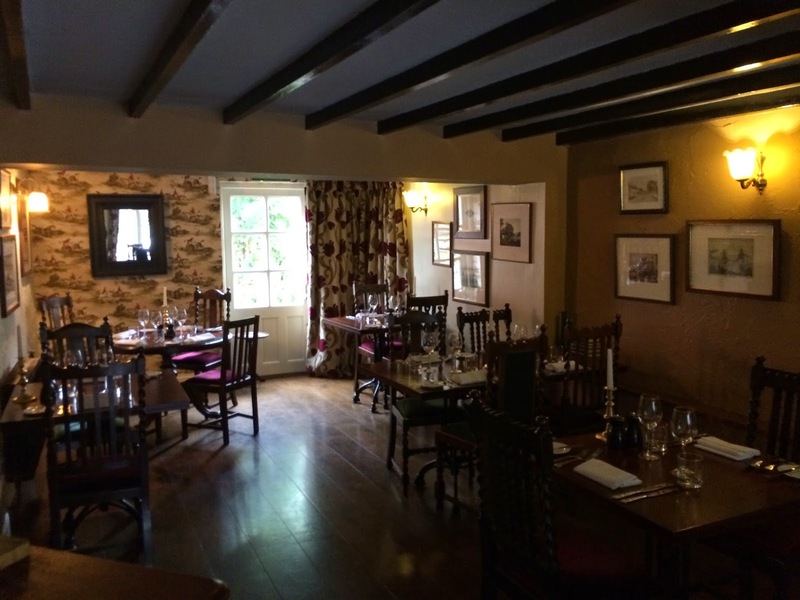 We should be proud to have The Raby Hunt, and James Close, in our region. James Close’s story is one that must give any number of veteran chefs with Michelin-related issues cause to pull out what’s left of their hair. Never having been to culinary school, James received his first Michelin star after just three years of professional cooking. The second was awarded this October. It’s an astonishing achievement, and one that completely justifies this award. 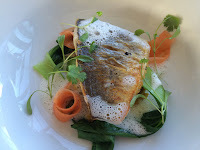 I’ve eaten at the Raby Hunt on three occasions now, the latest of which was just a few weeks ago (new review to be posted on this site), and each time I’ve found that the cooking has evolved, always from a position of strength, and with a consistency of delivery that I find absolutely startling. 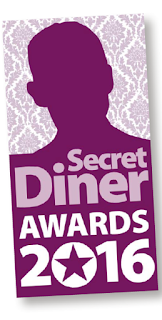 This restaurant was the first to receive 6 Secret Diner stars. When I created this grading system, I didn’t think it was possible for anywhere in the North East to reach, let alone exceed, 5 stars out of 5, but when I first tasted James’s extraordinary cooking, he broke straight through that ceiling. That was back in the summer of 2013. Each year I’ve seen his confidence and skills strengthen. He’s experimented, he’s taken risks, and his technique and knowledge have grown. It’s tempting to wonder how far James and his team can push on - time will tell. All you need to know is that this food, coming out of his tiny kitchen, is the equal of anywhere in Britain and if you’ve any interest in how good eating out can be, you owe it to yourself to go. 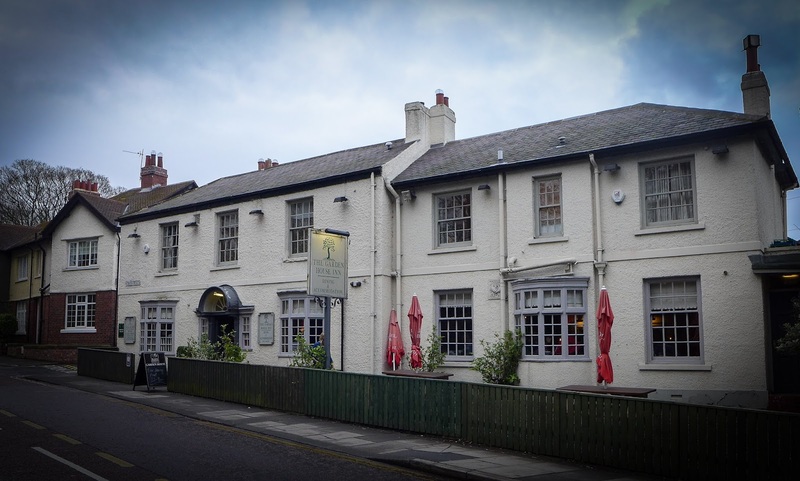 When Durham’s Bistro 21 closed, Head Chef Ruari Mackay relocated to The Garden House Inn behind the city’s train station. 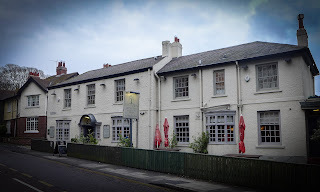 The Laybourne Empire’s loss was this Durham pub/B&B’s gain. 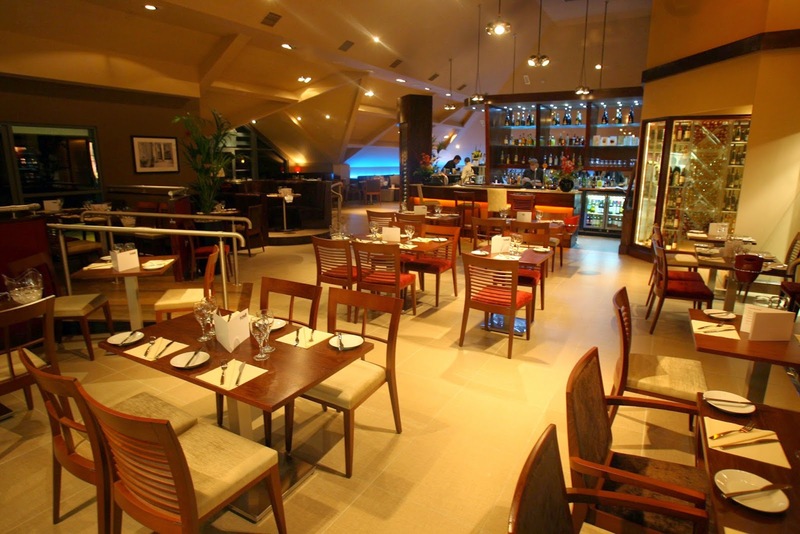 They have four double bedrooms and serve breakfast, which qualifies them for our Best Hotel Restaurant category. The highlights of our meal there were just about everything we ordered, but if you twisted my arm, I’d probably have to pick out the lobster sandwich, a brioche-wrapped dream of a thing. I’ve just checked the menu and it’s still there. Might be time for a return visit. 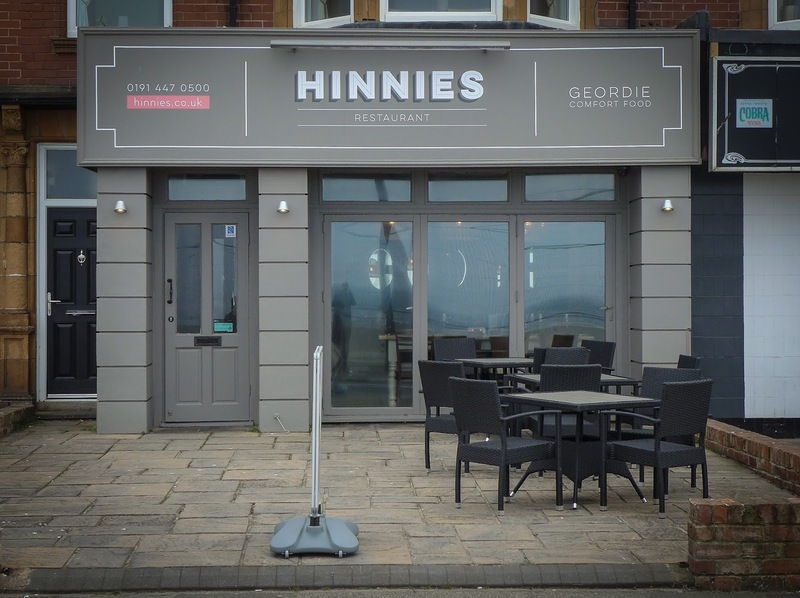 This category was particularly strong in 2016, and it’s a pleasure to draw attention to some excellent cooking away from the bright lights of Newcastle. 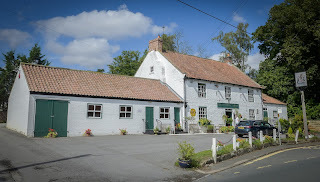 The Feathers Inn to the West and The Potted Lobster to the north rightly pack them in, but The Crathorne Arms near Yarm gets it by a whisker, based on one utterly flawless meal cooked by chef David Henry at what is now the home of one of the North East’s culinary royal families, the McCoy’s. This pub, full of their personal effects and inimitable style, is gorgeous. But so too is what arrives on the plate. The classic McCoy’s seafood pancake was still crazily good after all these years, while a more modern take on potted beef was equally delightful. Plus - and this really matters when we’re talking about bistro food - the chips were great. 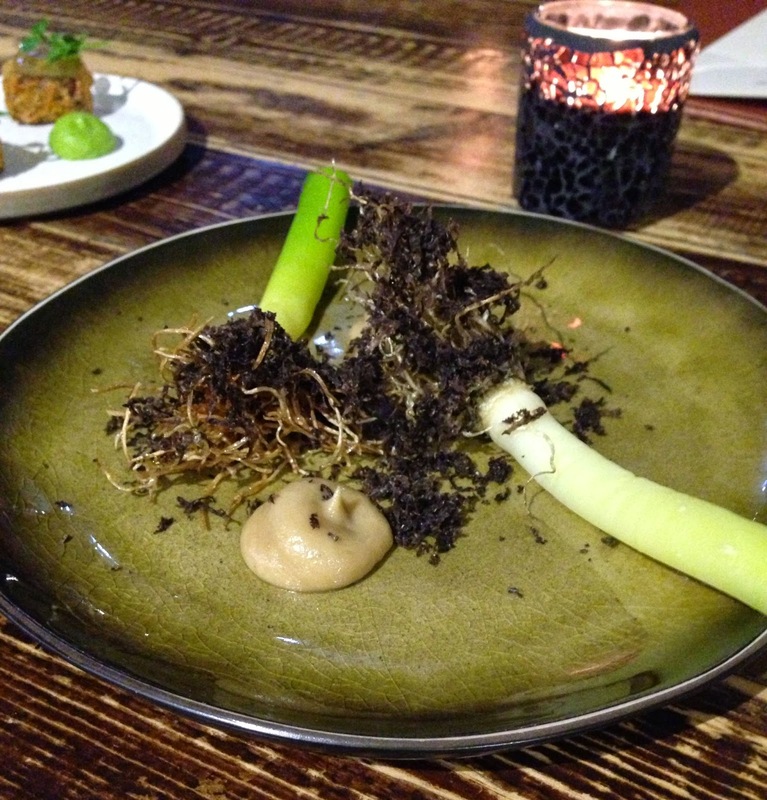 Fine Dining is a concept that gets its fair share of stick and, at times, rightly so. A meal at The Raby Hunt is a reminder of the joys of tasting menus, matched wines and all that jazz. 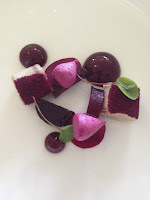 My recent 10-course meal there demonstrated startlingly clear flavours, mastery of technique and a bold and inquisitive approach to food that made it really quite special and sets this place apart. The desserts have, in my view, improved over the years. They have more staff, more interesting crockery and the whole thing has just got a little bit slicker. 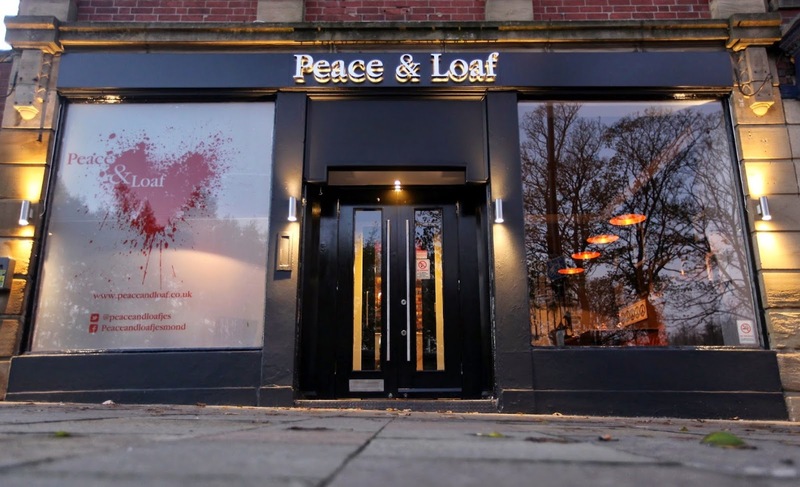 The welcome emphasis on serving excellent food in a lively, informal environment is something that Newcastle, with its markets and burgeoning street food scene is pretty good at. But hop on the Metro and travel a few stops in the direction of Norway and things get seriously special. 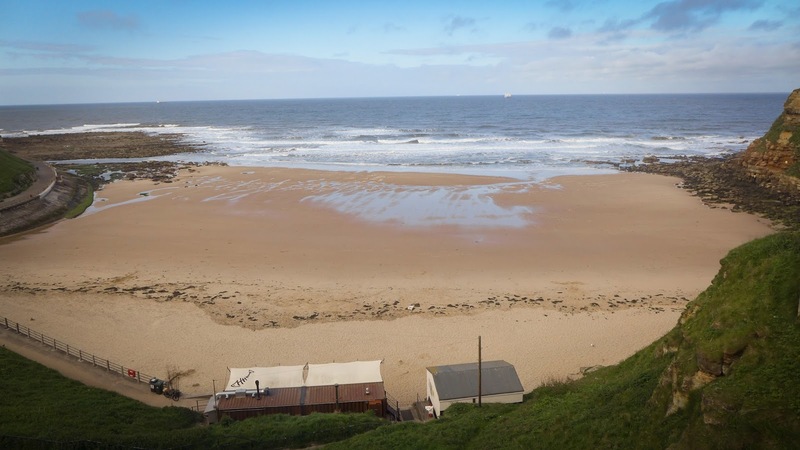 Adam Riley deserves all the plaudits he’s received for putting in the graft that has turned his street food business into a beach-bound wonder. I will never tire of the roasted cod on puy lentils, just as I will never tire of the view. The only problem is that every time Jay Rayner bangs on about the place in the Guardian the queue gets longer. Mrs Diner and I last visited Naples at the end of 2015. Like any self-respecting obsessive I put in the time, read all the blogs and checked to make sure that we only bothered with sampling the best pizzas in that wild and wonderful city. 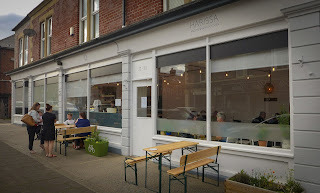 Then we got home and found out we could have just driven to Jesmond, because the Margherita and Marinara here are absolutely at that same Neapolitan level. Recent visits suggest that Calvin has really got the measure of his imported oven and his dough is as good as ever, but now it’s not just about the pizza. Starters such as dates wrapped in bacon, or meatballs in tomato sauce are also superb, and if a batch of tiramisu has been prepared then you really must order a large wodge. 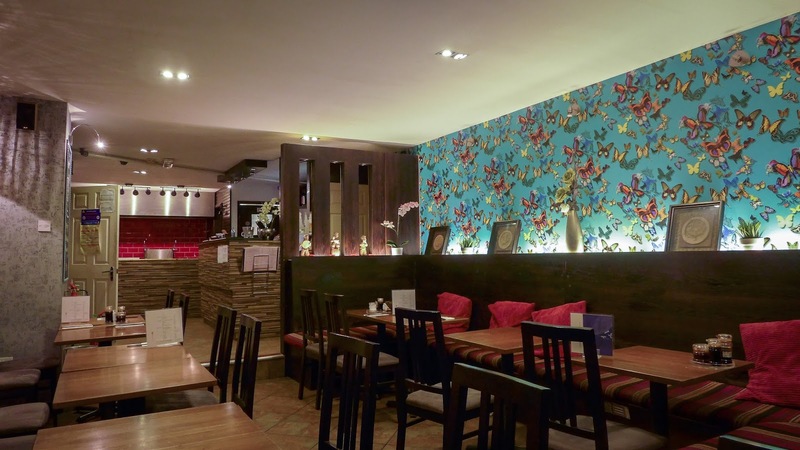 Lately, when it comes to Asian food, the North East has become much more interesting. 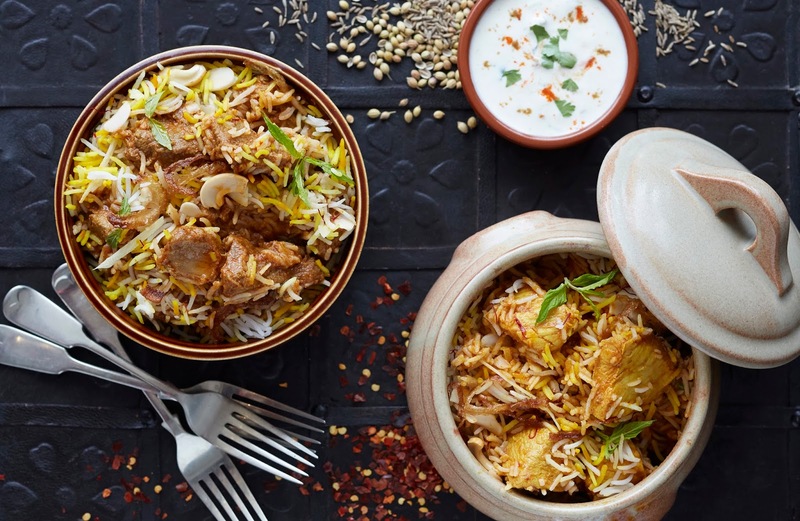 Any of this year’s finalists will serve you a delicious, cliché-free meal (and Haveli and Ury still offer the best Indian food in the region by a mile), but this year’s winner edges it by dint of showing a mastery of one particular, and rare skill. A bowl of hand-pulled noodle soup at Inoodle is that wonderful thing: an elevated and revelatory version of an everyday food that everyone knows and recognises. They’re gloriously bouncy specimens that swim in bowls of restorative broths and come with garlicky smacked cucumber and very respectable dim sum. 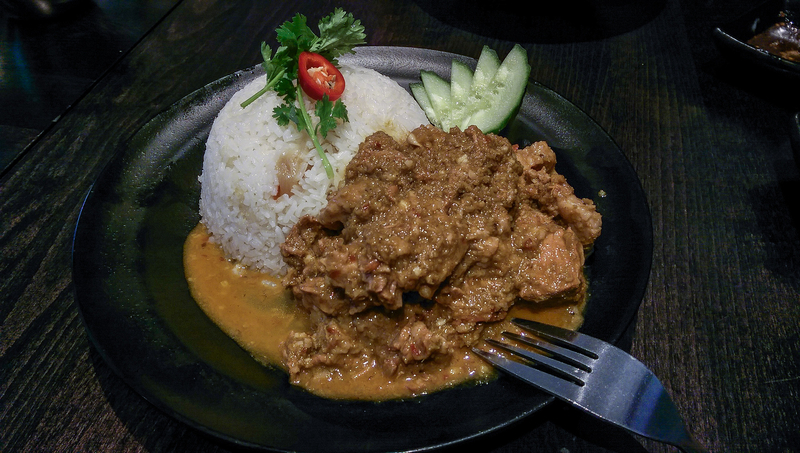 Give the takeaway a miss for once, and try the real deal. 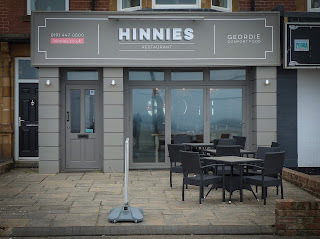 When we first visited Hinnies, the early evening menu was £15 for three courses. I believe this may have risen by three quid, but this is still ridiculously good value for a proper, grown-up restaurant experience. Suet pies were properly made, which is to say that your gran would have been proud of them, while the eponymous dessert was another old-fashioned treat. Staff were knowledgeable and charming. A little context: it will cost you more for one portion of beef short ribs in TGI Fridays than it will for three courses here. If you’re not clear which of those experiences is preferable then you shouldn’t be reading this blog. 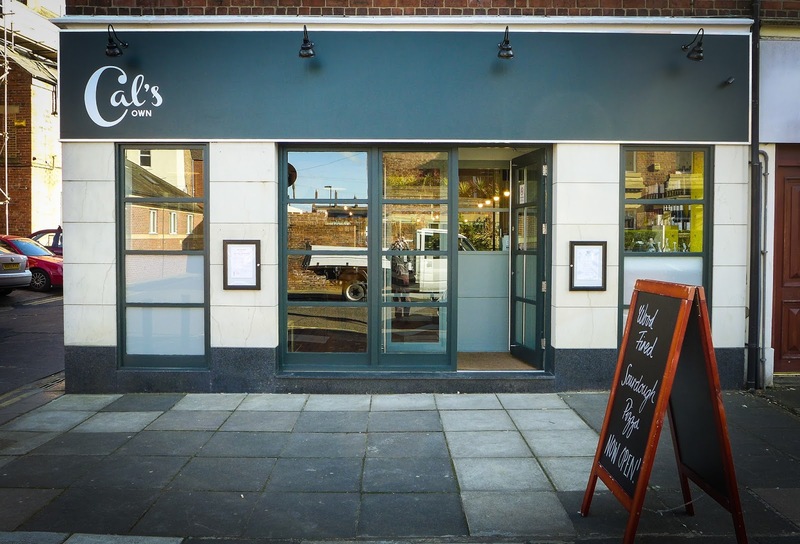 A really distinctive restaurant doesn’t just have good food, or even fine service, but also has a clear vision of what it wants to do and achieve. With all the kerfuffle about certain Mayfair-based behemoths not paying staff the minimum wage or sharing the “service charge” among staff, I want to give credit and encouragement to Harissa Kitchen. Here, they pay the living wage and the whole point of the restaurant is to generate income for the local Food Nation social enterprise. 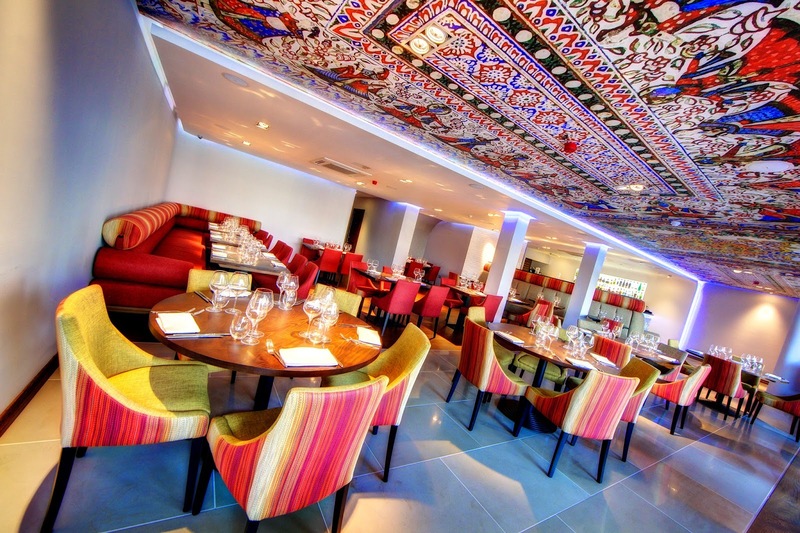 The fact that they also serve fresh and zingy Ottolenghi-inspired Mediterranean food in a room that is the epitomy of good taste is a lovely demonstration that admirable ethics and good food can go hand in hand. More power to them. “Superb service with an excellent eye for detail,” wrote one of my readers Jill Smith, and her opinion was shared by a plethora of fans of Dave Coulson’s excellent Jesmond restaurant. This award was voted by readers of The Journal, and I’m delighted that Coulson’s friendly, efficient staff have been rewarded with this accolade from their customers. This restaurant is beloved by local residents and national critics alike. Kenny Atkinson has absolutely delivered on the promise of last year. At the end of his first year of operation I voiced a few reservations about the service and the lack of variety in his tasting-menu-only model. 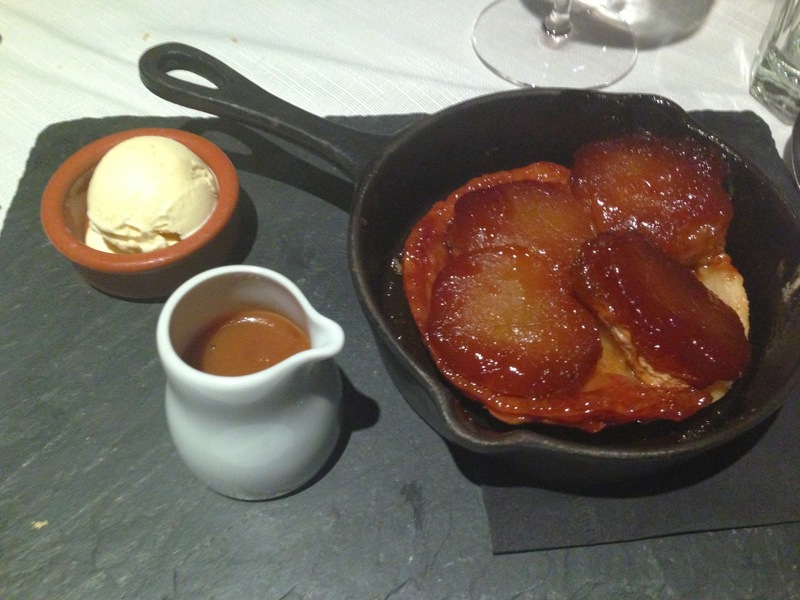 Kenny listened to the criticism, transformed both service and menu offering, and his reward is an annus mirabilis. 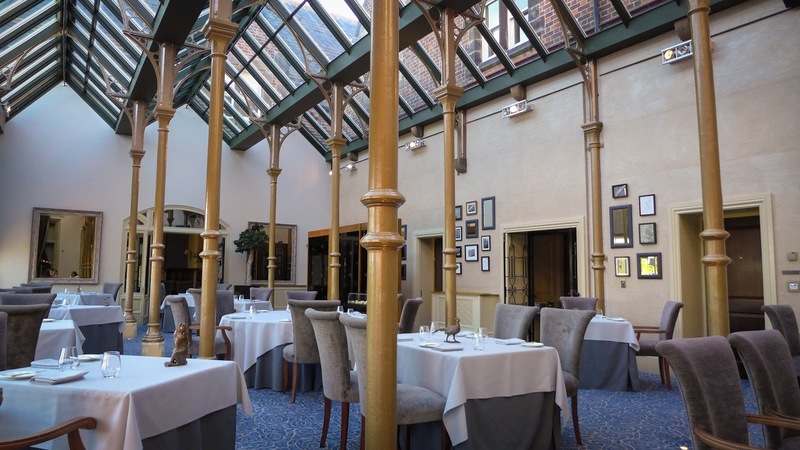 The awards have come with the same metronomic regularity as the dishes leave his kitchen: Newcomer award at the Cateys, the AA’s England Restaurant of the Year and, of course, a shiny new Michelin star, Newcastle's first since the halcyon days of 21 Queen Street. 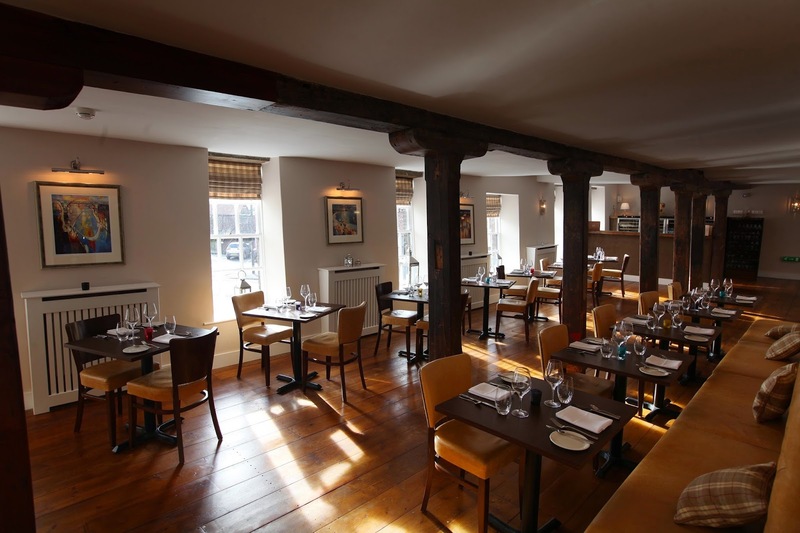 Personally, I have enjoyed seeing the place find its feet, settle into its own skin and then find a consistency of food and service that are a real credit to the City and the region. I'm delighted to add to what is becoming a very crowded awards cabinet. 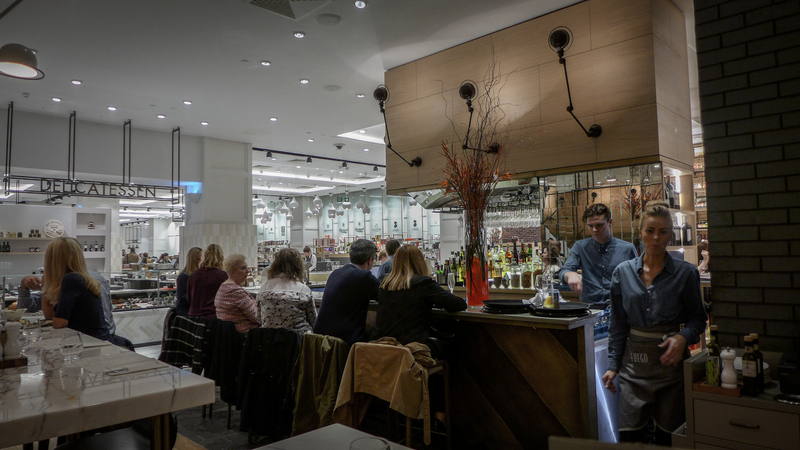 If there’s one restaurant that’s raised the bar in 2014, it’s Kenny Atkinson’s House of Tides. As one of my correspondents put it: I think they're dangerously close to getting it bang-on. The jury’s still out as to whether their tasting-menu-only model is going to pay off (I note that in December they’ve been trying a more flexible festive menu and their Sunday lunch is very good value). There have been criticisms of the front of house service, which is still being addressed, but as far as the cooking is concerned, most observers agree that House of Tides has the best chance of gaining Newcastle’s first Michelin star since the days Terry Laybourne’s 21 Queen Street. Thanks for your valuable list! I think http://www.varandaalnwick.co.uk/ is missing as I have experienced best Indian food flavor !